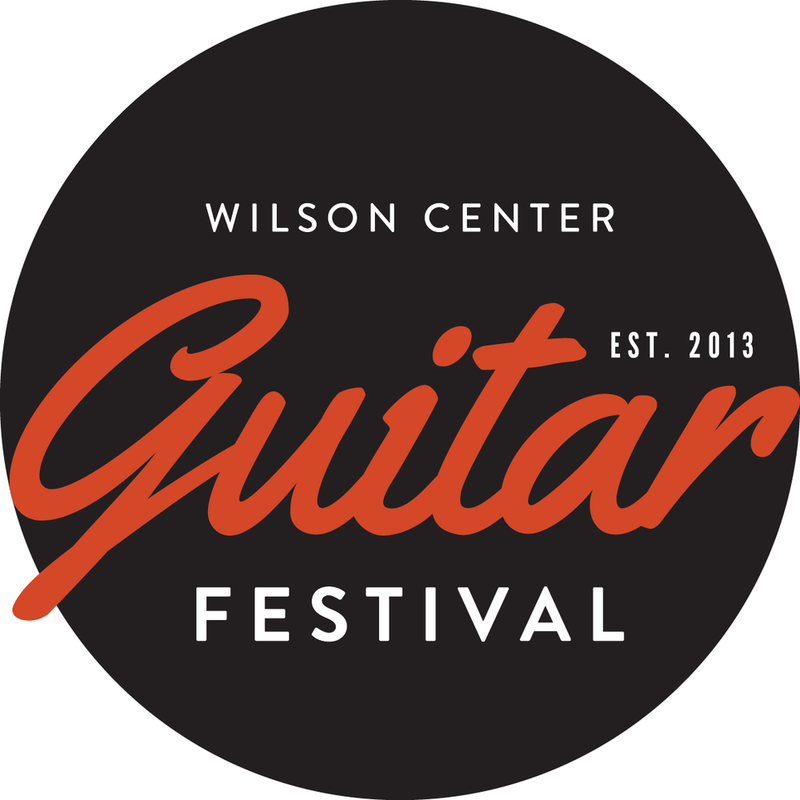 Meet the judges from the 2017 Wilson Center Guitar Competition and Festival and learn more about their unique and diverse experiences within the field. Born in the coastal city of Qingdao, in the province of Shandong, China, in 1988, Meng Su demonstrated her artistic gifts as an exceptionally talented guitarist from an early age. Embarking on an exciting guitar career as one of the most outstanding guitarists of her generation, Meng Su began her training in classical guitar with renowned Professor Chen Zhi at the age of nine, where she quickly began attracting attention as a remarkable young talent. Before graduating from the High School of the Central Conservatory of Music of China in 2006, Ms. Su had already won many awards, including the 5th Vienna Youth Guitar Competition, the 48th Tokyo International Guitar Competition, the Christopher Parkening Young Guitarist Competition, and the 2nd Iserlohn International Guitar Competition in Germany. As a performing artist, she has performed solo, duo, and quartet concerts across the United States, United Kingdom, Canada, Austria, Germany, Holland, Ireland, Finland, Croatia, Korea, Japan, and China, in which she has impressed audiences with an ability and artistry that exceeds her years. Ms. Su performs regularly in chamber music settings and with orchestras as a soloist; this past season she performed the Concierto de Aranjuez by Joaquin Rodrigo and Osvaldo Golijov’s Ayre for a chamber music ensemble. Meng Su obtained her Performer’s Certificate and the Graduate Performer’s Diploma from Peabody Conservatory in Baltimore, MD, and is currently continuing her studies with guitar virtuoso Manuel Barrueco in the chamber music program. Ms. Su’s discography includes a live CD and DVD release of a 2005 guitar concert in Korea as well as a release of Four Angels. Born in Qingdao, China, in 1981, Yameng Wang fell in love with the classical guitar at a young age and began studying with the leading guitar professor in China, Professor Chen Zhi, when she was 10 years old. She became the youngest winner of the Tokyo International Guitar Competition at the age of 12. She went on to win second prize in the “Michele Pittaluga” International Guitar Competition in Italy at the age of 13, and at the age of 14 she was invited by Radio France to perform at the Paris International Guitar Art Week and won second prize in La Infanta Doña Cristina International Guitar Competition in Spain. Classical Guitar magazine noted that at the age of 14, she already played like a seasoned professional. After graduating from the Central Conservatory of Music of China in 2006, Ms. Wang enrolled in the Peabody Conservatory in Baltimore, MD. There, she finished her Masters of Music degree in 2008 and is currently in the Graduate Performance Diploma program, studying with Maestro Manuel Barrueco. Ms. Wang has given acclaimed recitals across the US, France, Italy, Holland, Germany, Ireland, Finland, Croatia, Britain, Austria, Spain, Belgium, Switzerland, Poland, Australia, Japan, and Malaysia both as a soloist and in chamber music setting. Her first album, Caprice was recorded when she was 16 years old. A Very Special Album was released in 1999, and in 2003 she contributed to GHA’s album, The Best of Classical Guitar. In 2005 she released Classic Guitar – Aquarelle, Un Sueño en la Floresta. Since the age of 18, Jason Behr has been an active teacher and performer in the Milwaukee metropolitan area. He has been a faculty member of the Wisconsin Conservatory of Music since 2009. He earned his Masters Degree in classical guitar at UW-Milwaukee, studying with Professor Rene Izquierdo. In addition to teaching, Jason is a member of the Milwaukee Guitar Quartet and maintains an active performance schedule around Milwaukee and abroad. In 2008, Jason was asked by composer Carlos Rivera to record Cancion, his acclaimed solo work for classical guitar. In 2009, composer and guitarist Štepán Rak requested Jason to perform the American premiere of his new work titled Royal Suite. Jason was a recipient of the “Dr. Shinichi Suzuki” scholar award in 2010 & 2011. A native of Minsk, Belarus, Ella began studying guitar at the age of 13 with Valeriy Gromov. She graduated from Minsk Music College in 1994 and the Belarus Academy of Music in 1999 under Eugene Gridiushko with a degree in Classical Guitar Performance, Orchestral Conducting, and Guitar Pedagogy. In the year 2000, Ella entered Yale University where she received the Louis and Anne Rosoff Award and graduated with a degree in Classical Guitar Performance with professor Ben Verdery. Combining active performance and teaching careers, Ella has appeared as a soloist and chamber musician throughout the United States and abroad. Some of this year's appearances include Chamber Music Milwaukee Series, Brussels Royal Museum of Musical Instrument in Belgium, Tucson Classical Guitar Society, and Mannes College Guitar Festival in New York. In her teaching, Ella believes in the individualized approach to every student with tailored instruction based on student needs. Mrs. Chekan has extensive knowledge of guitar pedagogy and repertoire, and has experienced first hand different guitar schools of thought. Ella is also a certified Suzuki instructor registered with the Suzuki Association of Americas. All this experience allows her to find unique approaches and repertoire for each of her students, giving them a solid foundation in technique and musicianship at an early stage. Along with conducting, Ella has arranged a wide variety of music for solo and chamber music. Since 2005, Ella is on the faculty at Usdan Center for the Performing Art in Long Island, New York. In addition to teaching and performing at Usdan, she conducts the guitar orchestra with up to 60 performers. In her quest for present-day student repertoire, Ella commissioned composer Jorge Morel to write a series of student repertoire solo and ensemble pieces that is published by Mel Bay. With the belief that young players are our future, Ella works with musicians and composers to encourage them to write appealing and musically interesting pieces for the young generation of guitarists. Renowned Argentinean Composer Jorge Morel dedicated to Ms. Chekan his composition "Campañas" published by Mell Bay in The Magnificent Guitar of Jorge Morel. Ella Chekan performs on a John Price guitar and uses Savarez strings. René Izquierdo graduated from the Amadeo Roldan Conservatory and Superior Institute of Art in Havana, where he studied with renowned guitarist Jesus Ortega. After his arrival in the United States, he graduated from Yale University School of Music, where he studied with Benjamin Verdery. At Yale, he earned a Master of Music and an Artist Diploma degree and was awarded the Eliot Fisk Prize to an outstanding guitarist. He has studied with Leo Brouwer, David Russell, Shin-Ichi Fukuda, Eli Kastner, Pepe Romero, Angel Romero, Carlos Barbosa-Lima, David Starobin, Eduardo Fernandez, Jorge Morel, Robert Beaser, and Anthony Newman. Mr. Izquierdo is currently recording his debut CD with Luthier Music Corporation. Izquierdo has been awarded several competition prizes and most recently was a finalist in the JoAnne Falletta International Guitar Concerto Competition. He has appeared as a guest soloist and in chamber music concerts throughout the United States, Canada, Cuba, Spain, France, and Italy. In 2004 he performed the Villa-Lobos concerto with the Buffalo Philharmonic Orchestra and played the U.S. premiere of The Divan of Moses Ibn-Ezra by Castelnuovo-Tedesco, a 19-song cycle, with soprano Arianne Slack in a Merkin Archive concert. Mike Dawes’ acclaimed solo music has gained more than 15 million hits on popular video-sharing sites, and since the release of his debut album in 2013, he has toured almost every continent on the planet, with an average of 150 concerts per year. His ability to create the most unusual tones and textures simultaneously from a single acoustic guitar is stunning. Bass, melody, harmony, and percussion are all seamlessly produced using his signature technical, yet intrinsically musical, guitar technique. Not just for guitar fans, Mike’s entertaining and humorous rapport transcends the traditional guitar concert. Virtuosity meets Monty Python in a one-man rock show. His British humor and electric presence sprinkle an entertainment not uncommon in a comedy club. He does not take himself seriously, but the music is taken very seriously. Mike has recorded with and taught multiple Grammy-winning artists, appeared on film and TV soundtracks, released apps, written for the world’s best-selling music magazines and, in addition to his solo work, currently performs alongside and in support of the legendary front man of The Moody Blues, Justin Hayward, the debut live DVD of which entered the US Billboard charts at #2. Musicians including John Petrucci, Steve Vai, Gotye, Billy Sheehan, and James Valentine (Maroon 5) have all spoken of their admiration toward Mike’s work. In June 2012, Mike released his first solo instrumental through the US label, Candyrat Records. His incredibly detailed arrangement of Gotye’s smash hit ‘Somebody That I Used To Know’ took on a life of its own when it smashed through 1.5 million views in just one day online on YouTube. Since going viral, the video found itself on the front page of Reddit, CollegeHumor, and hundreds of popular blogging sites. MSN News featured Mike on the front of their US web browser, whilst Gotye himself praised the arrangement as his favorite cover of the song, even inviting Mike to session at his studio in South Australia. Starting as far back as the Seventies, Peter Finger has enjoyed an outstanding reputation internationally as an acoustic guitarist, and the music press has included him in the pantheon of the world's best guitarists. Anyone who has listened to just one of his 16 album productions to date will gladly agree with this assessment. Countless tours have taken the successful musician around the globe: celebrated performances in Europe, the USA, Japan, etc. mark just some of the musical milestones of this extraordinary artist. Peter Finger has accomplished something that few people achieve in our day: the perfect harmony of virtuosity, musicality, and composition. His musical cosmos is boundless, showing profound knowledge of both music history and the contemporary state of the art. The attentive listener will therefore encounter the tonal language of Debussy, Ravel or Stravinsky time and again – and, in the same breath, perhaps find himself in the realm of rock. Or he will marvel at Finger's almost orchestral, sometimes breathtaking, experimental tapestry of rhythm, harmony and melody. It should definitely be mentioned that all of this fuses together organically instead of just standing side by side without any connection. Which is why Peter Finger's music is always a great sensual pleasure, far removed from any type of intellectual coolness – both demanding and stimulating at the same time. That Peter Finger was able to "incidentally" win several first prizes in composition competitions and operate a studio with an excellent reputation is hardly surprising considering his diversified artistic biography. On the other hand, Peter Finger also deserves recognition as a committed publisher and label head: in addition to his activities as the publisher of the Akustik Gitarre magazine, he has also gathered a troop of highest quality musicians on his repeatedly distinguished label Acoustic Music Records (Kai Schwirzke). Kevin Eubanks, guitarist and prolific composer. He is well known by many as the former Music Director of The Tonight Show Band, appearing on the show 18 years (1992 - 2010). His laid-back style and affability seems to belie the concentration and focus that have made him successful both as a consummate musician and a household name for late-night TV viewers. Kevin was born into a musical household in Philadelphia, PA, and was thus exposed to world-class music in his formative years as he began violin lessons, his first instrument, at age seven. Kevin also studied the trumpet before making his commitment to the guitar, which was solidified with his entrance to the world renowned Berklee College of Music in Boston from which he has received an ‘Honorary Doctorate’ degree. He has also received an ‘Honorary Doctorate’ degree from Redlands University in California. Kevin moved to New York after attending Berklee College of Music where his career kicked off in earnest. He started playing with some of the greats of Jazz, including Art Blakey, Slide Hampton, McCoy Tyner, Sam Rivers, Roy Haynes, Dave Holland, Ron Carter, and others. In addition to working in other bands, Kevin become the leader of his own group and traveled to Jordan, Pakistan, India, and Kuwait on tours sponsored by the US State Department, not to mention the European/Japanese Jazz circuit which so many artists frequent. His first album as a leader, Guitarist, was released on the Elektra label when Kevin was 25. It documented a sophisticated, nuanced voice on the instrument, and was graced by the presence of some peers who are still performing with him today: tenor saxophonist Ralph Moore, (Tonight Show Band member) and his brother Robin. Kevin’s cousins, the late bassist David Eubanks and the pianist Charles Eubanks, also appeared on the recording, which was so well received that it lead to a seven-record recording contract with the GRP label, owned by Dave Grusin and the late Larry Rosen. Those recordings, based largely upon Kevin’s compositions, gained him a wide audience through extensive radio airplay and touring. It showed the range of his skill on both acoustic and electric guitar. Kevin became a full-time bandleader, and traveled the world with his group. In 1992, Kevin moved to the West Coast to join The Tonight Show Band. In 1995, Kevin was asked the lead the band. His versatility and open-minded approach enabled him to write and choose music that satisfied the huge and varied audience for the show. He assumed the role as Leno’s sidekick, sometimes participating in skits, and his engaging personality, as well as his musicianship, drew attention. The position afforded Kevin the opportunity to work with great and popular musicians from all genres. Kevin became involved in writing scores for both TV movies and full-length independent feature films. He has appeared on various TV shows/channels, from Hollywood Squares to V.I.P to Girlfriends, Days of Our Lives, Royal Pains, HGTV, Oprah’s OWN, The History Channel, to name a few. But his passion is clearly seen when he is on stage performing as he continues to embrace his true passion, the love of music. A strong advocate for music education, Kevin served as the Artistic Director of the Jazz In The Classroom Program for The Thelonious Monk Institute of Jazz from 2010 - 2012, where he worked with young up-and-coming middle and high school musicians in the Los Angeles public schools. He also hosted the 2013 NEA Foundation Gala. He has taught at the Louis Armstrong Jazz Camp, the Banff School of Fine Arts in Canada, Rutgers University, and at the Charlie Parker School in Perugia, Italy, as well as hosting master classes at many colleges and universities. In November, 2010, Kevin released the CD Zen Food (Mack Avenue Records) that debuted in the Top Five on the Billboard Jazz Chart and was Kevin’s fastest-selling record ever. In February 2013, his CD The Messenger (Mack Avenue Records) was released, garnering a 2014 NAACP Image Award nomination for “Outstanding Jazz Album.” That same year, he toured extensively as a member of Dave Holland’s PRISM. In March 2015, the acclaimed Duets (Mack Avenue Records), with fellow guitarist Stanley Jordan, was released to rave reviews and concert performances. His next project, the highly anticipated upcoming CD East West Time Line is set for release on April 7, 2017 (Mack Avenue Records). In addition to club/concert touring Kevin has begun presenting at conferences around the country not only as a musician, but also as a motivational speaker to people of all ages. Mike DeRose hails from the Midwest city of Racine, WI. Born and raised there he was drawn toward the guitar at an early age. Mike taught guitar for 20 years at a local music store, until recently when he decided to devote all of his time to recording and performing. Mike has played in numerous locales from New York to California. And he can recently be found performing for Hal Leonard instructional series. His many years of travel and playing have all contributed to his wide variety of styles and techniques. Mike prides himself on being able to play just about any genre of music that a recording artist may require, with his favorites being: Jazz/Fusion, R & B and Rock ‘n Roll. Jack Grassel is a jazz artist known for his adventurous concerts, books, inventions, CDs, compositions, and extraordinary musical abilities which include perfect pitch. Jack's music career began early at age three, when his father started him on music lessons. By age four, he was performing professionally with the Bar O Ranch, a traveling variety show, and on television and radio. He enjoyed years of personal tutelage by mentors Jimmy Wyble, George Van Eps, Tal Farlow, and Joe Daley, which fathered his unique style resulting in more than 13,000 performances. Among his favorites are duets with Luciano Pavarotti, recordings with Tal Farlow and Melvin Rhyne, and concerts with Rosemary Clooney and other name artists too numerous to mention. Steve Lewandowski has more than 40 years of professional experience in the music business as a guitarist. His playing is characterized by widely diverse styles such as post-bop, funk-edged jazz, and blues. He has arranged, composed, and conducted in a variety of popular and jazz bands, and played guitar as a theater musician and soloist, on the radio and television, and in recordings. Steve has performed with a variety of international and local artists—The Milwaukee Symphony, The Racine Symphony, Gary Burton, Ashley Alexander, Alan Vache, Charlie Braughm, Russ Phillips, Bobby Lewis, Manty Ellis, Berkley Fudge, Fifth Dimension, Chuck Hedges, OPUS, Bel Canto Chorus—and with touring Broadway shows such as Sweet Charity, Chicago, Lion King, Spamalot, Legally Blonde, and others. Steve has a rich history of club performances, shows, concerts, and clinics. As a member of OPUS, he participated in the Vibrations Unlimited Series concerts with the Milwaukee Symphony; performed at numerous Summerfest, Lakefront Festival of the Arts, and other music festivals; and backed artists such as Buddy Rich, Pat Metheny, Yellow Jackets, and Dizzy Gillespie. His original compositions from the EP First Light received airplay on public radio stations internationally. Steve was awarded Best Guitarist, 2006, and nominated Best Guitarist, 2007, by the Wisconsin Area Music Industry (WAMI). More recently, he has recorded a solo CD, Familiar Melodies, which has received international radio attention, and has taken over leadership of Chuck Hedges’ Milwaukee Connection. In the summer of 2013, Steve premiered “Trinity” for jazz band and orchestra with the Racine Symphony Orchestra. Guitarist Roger Brotherhood has been a professional musician since 1966. He attended the University of Wisconsin for two years as a journalism major, and graduated with honors from the Wisconsin Conservatory of Music with a Bachelor of Music degree. He has taught professionally for more than 25 years and has extensive experience recording, playing in clubs and shows, leading his own jazz groups, conducting workshops and clinics, and playing solo. He has appeared as guitarist with Diahann Carroll, the Drifters, Rita Moreno, Bobby Rydell, Vic Damone, Al Martino, Bob Hope, Dinah Shore, Mickey Rooney, Donald O'Connor, Rich Little, John Gary, Tommy Tune, and many others. He has also played for theater productions such as A Chorus Line, Evita, Jesus Christ Superstar, Jaques Brel Is Alive And Well ... , Cabaret, and Joseph And The Amazing Technicolor Dreamcoat. Roger has played often with the Milwaukee Symphony, the Madison Symphony, and the Wisconsin Chamber Orchestra, with whom he was featured at the world premiere of the Symphony Of Two Worlds. He was Artist in Residence at Verona High School for two years, and he has conducted successful improvisation workshops in association with the Isthmus Jazz Festival and at area high schools. He has taught privately since 1980, working with beginners as well as advanced players. His students have gone on to excel in jazz programs at the Berklee School of Music in Boston, North Texas State University, William Paterson College (with Rufus Reid), the University of Oregon, and other colleges. Early experience in blues bands (opening for the likes of B.B. King, Albert King, Bobby Bland, Junior Wells, Major Lance, and Freddie King), playing gospel music with the Gospel Belles and the New Zion Baptist Choir, and laying down R&B with The Charmers, of Boston, led to his love of jazz music. This culminated in Roger's four years of study at the Wisconsin Conservatory, where he studied with Tony King, guitarists Manty Ellis and Jack Grassel, saxophonist Hattush Alexander, and multi-instrumentalist Kenny Danish. He also studied privately with guitarist Roy Plumb, a former student of the great George Van Eps. Since then, his jazz groups have been featured at the Isthmus Jazz Festival, the Art Fair On The Square, and live radio broadcasts from WORT. His duo with pianist Jane Reynolds appeared at the Ovens of Brittany in Shorewood for two consecutive years, and they were featured playing their original material on the locally produced TV series On The Town. Roger's quartet was a monthly tradition at The City Bar in downtown Madison for six years running. Roger performed for many years with Madison trumpeter Doc DeHaven while living in Madison. Currently living in the Milwaukee area, he performs regularly with vocalist Adekola Adedapo, saxophone master Berkeley Fudge, drummer Ben Hans, and many other local jazz musicians, in addition to freelancing in the Milwaukee/Madison area and leading his own duos, trios, and quartets. He also maintains a busy schedule teaching at The Guitar Studio, both in Madison and Milwaukee. Steve Roberts, a veteran of the Chicago rock, jazz, and experimental music scene, has recorded and performed with a myriad of local and touring artists. His work as co-founder/songwriter/electric guitarist for the bands Loud Thoughts and the post-punk/art rock D-Section has somehow led (most unnaturally) to orchestral, new music, musical theater, and chamber music. Recent performances on guitar, banjo, and mandolin include: The Chicago Symphony Orchestra Godfather live soundtrack; Melissa Etheridge in concert; Stewart Copeland and his Ben Hur soundtrack live; Otello with Riccardo Muti and The Chicago Symphony Orchestra (Carnegie Hall and recording); Steven Spielberg's Lincoln soundtrack; Fulcrum Point New Music Ensemble; Chicago Chamber Musicians; Contempo; The Rembrandt Chamber Players; The Pirate Queen (Broadway); Book of Mormon; Present Music in Milwaukee; Lyric Opera Orchestra of Chicago; and The Grant Park Symphony Orchestra. Some favorite performances include the US premier of "Elevator Music on Mars" by Tomi Raisanen; Chicago and New York premiers of Jacob TV's multimedia opera The News; "Gnarly Buttons" by John Adams with the Chicago Chamber Musicians featuring Larry Combs on clarinet; working with Sting and Rob Mathes on the pre-Broadway production of Sting's The Last Ship; using his Masters degree in music composition to write songs for his wife, Julie, to sing to their Great Dane Lester. Peter Roller, a music professor at Alverno College, is the author of Milwaukee Garage Bands: Generations of Grassroots Rock, which documents amateur bands from the ’50s through the ’90s. Growing up in suburban New Jersey, Roller started out playing electric guitar in garage bands. He later went deep down the rabbit hole of American roots music—studying folk, bluegrass, country blues, and American fingerstyle guitar—and played open stages at classic Greenwich Village folk clubs the Gaslight and Folk City during their final years of operation. Matthew Schroeder is a Milwaukee-based WAMI (Wisconsin Area Music Industry) winning guitarist who is equally at home on electric or acoustic guitar. Matt is one of a handful of players to graduate, with honors, from the short-lived cooperative program between The Wisconsin Conservatory of Music and The University of Wisconsin-Milwaukee with a performance degree in American Finger-Style guitar. Matt is one of Milwaukee’s prominent guitar educators and serves as Chair of the guitar department at The Wisconsin Conservatory of Music, where he has taught since 1992. Matt is also the Artistic Director for the Wisconsin Conservatory of Music's annual Guitar Weekend Workshop and Interlochen College of Creative Arts' Fingerstyle Guitar Workshop. Matt can be seen performing as a soloist, in a duo with vocalist Lynda Lee, with the all-star band Slumpbuster featuring KB from 96.5 WKLH-Milwaukee, and as the smoking, guitar-wielding "Space Ace" with the KISS tribute band Dr. Love. Michael Standal has more than 30 years of experience as a professional guitarist, composer, producer, publisher, and educator. Michael studied jazz with pianist David Hazeltine at the Wisconsin Conservatory of Music and has taught privately and at a multitude of workshops including at the University of Wisconsin – Whitewater. As a multi-faceted guitarist and multi-instrumentalist, he has shared the studio and stage with a wide variety of artists, including Oceans (the house band of the Milwaukee Bucks), Melvin Rhyne, David Hazeltine, Brian Lynch, Dan Trudell, The B3 Bombers featuring Clyde Stubblefield, Doug Lawrence, Jeff Hamilton, Buddy Miles (Jimi Hendrix), and many more. As a studio musician, Michael has been featured on dozens of commercials, educational materials, and albums including his own The Mike Standal Quintet – Equilibrium, Oceans’ Pro-Jazz release Ridin’ the Tide, and The B-3 Bombers - Live at the Green Mill. Michael is a veteran composer and producer. He’s composed, arranged, produced, and played on pieces for domestic and international television, radio, music production libraries, and major film releases. His compositions have been placed in more than 1,000 TV shows, feature films, and major label releases worldwide. As a producer he’s collaborated with many extremely gifted artists, including Clyde Stubblefield (James Brown), Matt Sorum (Guns And Roses, Velvet Revolver), Robben Ford, Joe Bonamassa, Paul Barerre, Roscoe Beck, Brannen Temple, Jon Cleary, Victor De Lorenzo (Violent Femmes), Greg Koch, Matt Walker (Filter, Smashing Pumpkins), Wesley "Sticks" McVicker (Eric Benet, Angie Stone), and John Ferraro (Boz Skaggs, Larry Carlton). Michael is a co-founder and CEO of MidCoast Music, which is represented worldwide by Warner/Chappell Production Music. When not composing and producing with his business partner, Chris Hanson, he can be found riding his bicycle, cooking, or studying languages.